THE TAX Department will start sending Immovable Property Tax notices to 237,052 taxpayers in September who will find their IPT bills reduced to 25 per cent (a reduction of 75 per cent) of the tax demanded last year, providing they pay by 31st October. Those choosing to pay from 1st November until 31st December will pay 27.5 per cent of last year’s tax (a reduction of 72.5 per cent), while those who pay after 31st December will face an additional charge of 10 percent on the 27.5 per cent figure. Once again Immovable Property Tax will be based on 1980 values and rates, which range from 0.6% to 1.9 per cent of their property/properties 1980 values, while taxpayers will be exempt from paying IPT if their tax bill is no more than €10. 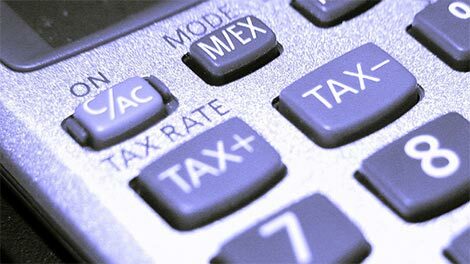 The Tax Department has matters in hand and will be making the necessary changes to its IT systems and the procedures for sending IPT notices in the coming days. In 2015 the Tax Department sent 273,052 IPT notices amounting to €127.5 million to companies and individuals. However, the Department received approximately € 86 million from around 239,000 taxpayers because some took advantage of the discount offered while others failed to pay. Between 2013 and 2015, the IPT revenue collected by the state amounted to about €284 million: €106 million in 2013, €92 million in 2014 and €86 million in 2016. Meanwhile local authorities (Municipalities and Communities) have already begun sending notices for ‘local’ property taxes designed to collect a total of €15 million. According to the Finance Ministry local authorities received approximately €14.7 million in 2013 and €15 million in both 2014 and 2015. Individuals and companies who own property or who have taken delivery of a property in Cyprus but have yet to receive its Title Deed are reminded that they are required (by law) to register details of the property/properties with the Tax Department if they have not already done so. I purchased a property in 2010 paying a deposit with the balance paid in 2011, the total paid was â‚¬137,000.09. How do calculate the 1980 MV to see if I need to pay IPT TAX. Ed: There isn’t a way you can calculated the 1980 value on which Immovable Property Tax is assessed. You will need to visit the Tax Department in which the property is located with its details. Your developer should have notified the Tax Department that you had purchased the property – and you should have registered yourself and the property in 2014. But isn’t ipt next year supposed to be zero… Unless another tax comes in. So then how do they handle an overpayment? I made a pre-discount part payment this year and when I asked about the discounted the clerk told me they will adjust the final amount to include it. This is good news! But do you know what the situation is for those who have already paid IPT this year at the pre discounted rate? Can we get a refund and if so, how? Also is it only a discount from now on and not previous years? Thanks! Ed: I had an email from someone who overpaid last year and had the amount taken off this year’s bill. I expect the same will happen next year.